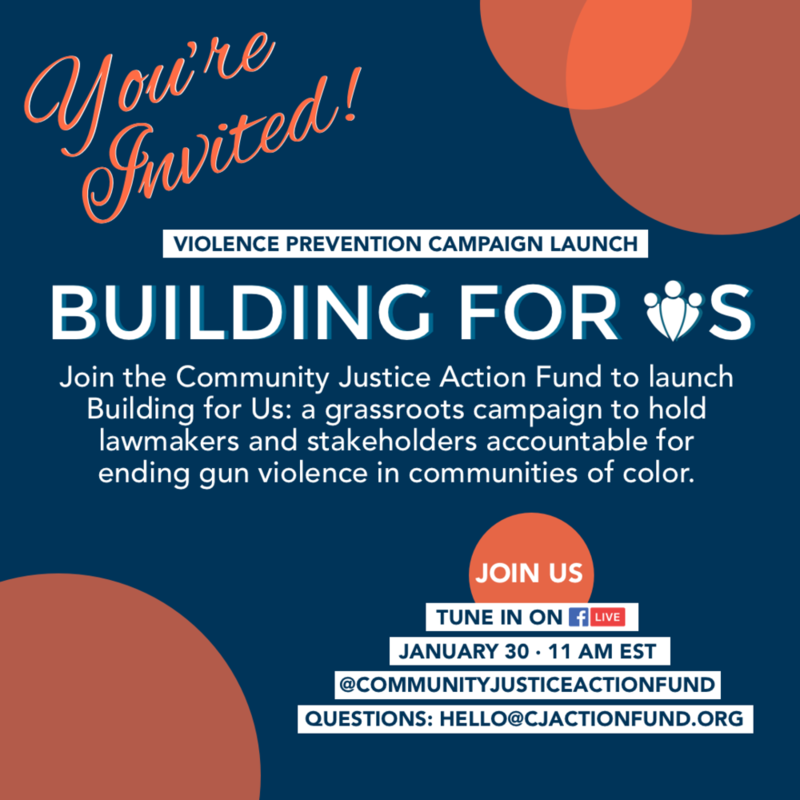 The Community Justice Action Fund is a nonprofit organization building power for and with communities of color to end gun violence. CJAF is changing the conversation on gun violence prevention by leading with the people closest to the pain of everyday gun violence. With a robust strategy and policy platform, CJAF addresses the issue of gun violence in a holistic, sustainable, and intersectional manner. CJAF approached FN Creative Console to create a website to launch their organization and their groundbreaking Building for Us campaign, which tackles gun violence nationwide by leading with the people most affected and marginalized by gun violence. While FN Creative Console currently manages CJAF’s 501c(3) affiliate organization, the Community Justice Reform Coalition, CJAF is a 501c(4), which meant designing a site that simultaneously connected the two organizations, while creating a very clear distinction between the two. While grounding both organization websites in orange, the color of gun violence prevention, CJAF’s site brings together a color scheme that speaks truth to power in the halls of national, state, and local legislators. The design brings out the strength of the people most affected by gun violence and centers CJAF’s important work in creating tangible, sustainable impact to drastically decrease gun violence in and against communities of color. In addition, the site seamlessly integrates the Action Fund’s CRM of choice, thus allowing CJAF to grow their movement right on their site while also integrating in all aspects of their marketing, fundraising, and advocacy strategy. FN Creative Console provides ongoing digital and design support for the Community Justice Action Fund.